The SQA Advanced Diploma in Computing: Software Development (SCQF level 8) covers a range of specialist technical software development skills and knowledge in programming and systems development. These qualifications are available through a growing number of colleges and universities around the world. Typically, an SQA Advanced Diploma takes two years. This SQA Advanced Certificate and Advanced Diploma can provide progression routes to further study (see Progression). The SQA Advanced Diploma can provide advanced entry to degree-level study. 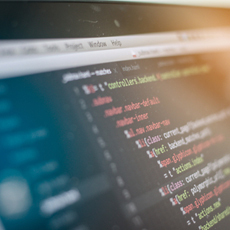 For example, the SQA Advanced Certificate in Computing allows direct entry into the second year of most degree programmes, and the SQA Advanced Diploma in Computing: Software Development allows direct entry to most third year programmes. E-skills Procom is the industry-recognised, internationally-relevant training framework for organising courses and qualifications. It defines knowledge, understanding, and competences for seven broad disciplines. The SQA Advanced Diploma in Computing: Software Development covers all these disciplines (see group award specification for further information). This group award is made up of 240 SCQF credit points. The mandatory section consists of 64 credit points at SCQF level 8. For further information on the structure and units for this course please refer to the group award specification - GM92 48 (575 KB).